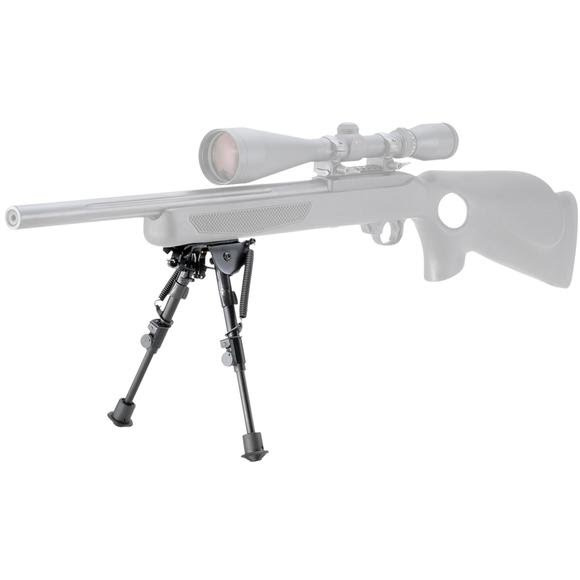 Champion's rugged and sturdy bipods deliver a steady, portable and versatile shooting rest. Their classic and reliable design has helped shooters stay on target for decades. Champion &apos;s rugged and sturdy bipods deliver a steady, portable and versatile shooting rest. Their classic and reliable design has helped shooters stay on target for decades. Easily attach to sling swivel stud. Quickly adjust to heights from 6” - 9”. Measurements Adjustable from 6" - 9"